As of Archivematica 1.7 there are two structMaps. 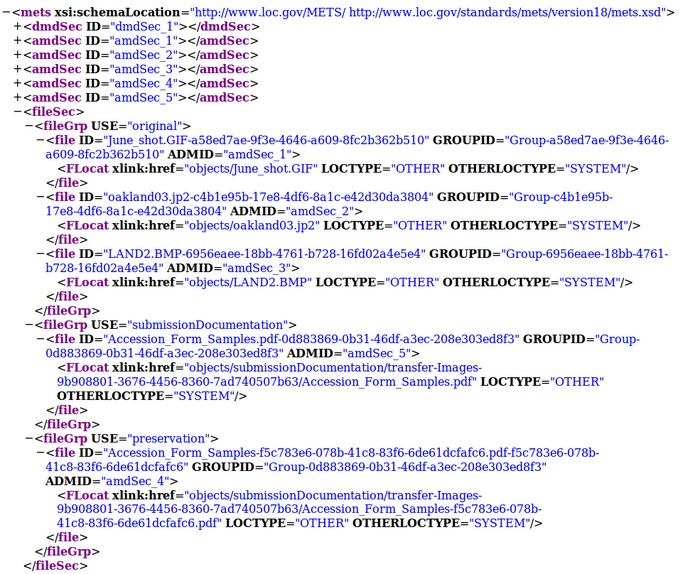 The first is labeled "Archivematica Default" and shows the physical layout of the files in the objects directory. The second is labeled "Normative Directory Structure" which shows the logical structure of the files in the objects directory. This second structMap is needed to document empty directories before they are deleted at 'store AIP' in the Storage Service. At AIP re-ingest the new logical structMap will be parsed to re-create the empty directories. 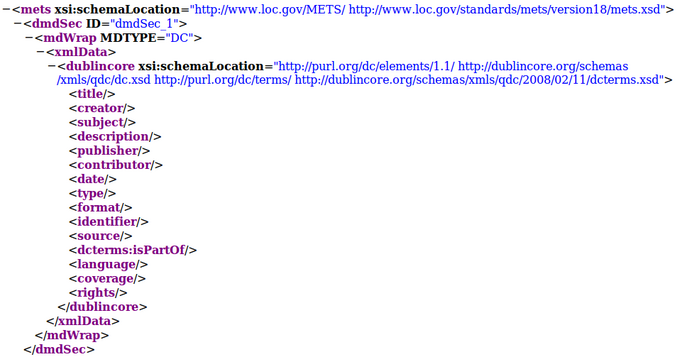 The dmdSec consists of simple Dublin Core, except for <isPartOf>, which is a qualification of <Relation>. 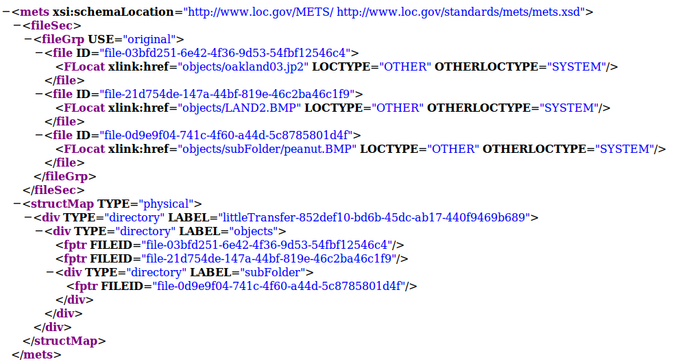 The descriptive metadata for DSpace collections are contained in the METS files that come with the DSpace export, so the Archivematica METS file will point to them using mdRef. 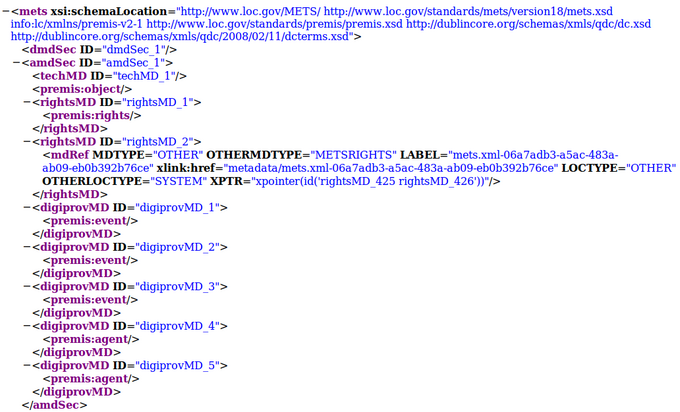 The amdSec consists of either PREMIS metadata created by Archivematica or (in the case of rights metadata) references to external content. The screenshot below shows the amdSec for a file that has two rightsMD sections, one with rights captured in the PREMIS metadata (rightsMD_1) and one pointing to rightsMD sections in an external METS file (rightsMD_2). 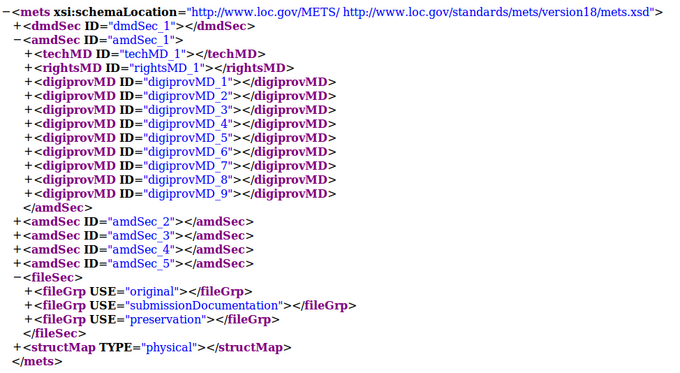 Archivematica creates a METS file for each transfer showing a structMap for the transfer. This page has been accessed 45,600 times.